Will this SODE update automatically work in your scenery? Everything else -- which is just windsocks and flags really -- work as expected. I have the iFly737 so I will check in P3D when I get home. Need some gate guidance Rob ...wink...wink. You can wink all you like, but it won't make me any cleverer! Actually, the SODE developer is currently working on a plan to market his SODE guidance systems, once he sorts that out I may be able to offer something as an optional extra, for those who purchase his addon. 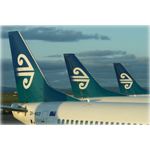 I have tried the iFly737 in P3D4.2 at NZDN. The first pic shows the 737 parked on the spot. Lateral alignment is good but is just a little high as you can see it connects about 250mm above the door sill. The curtain does not quite attach neatly but this could be in the iFly coding. The next is the spawning position at Gate 1. 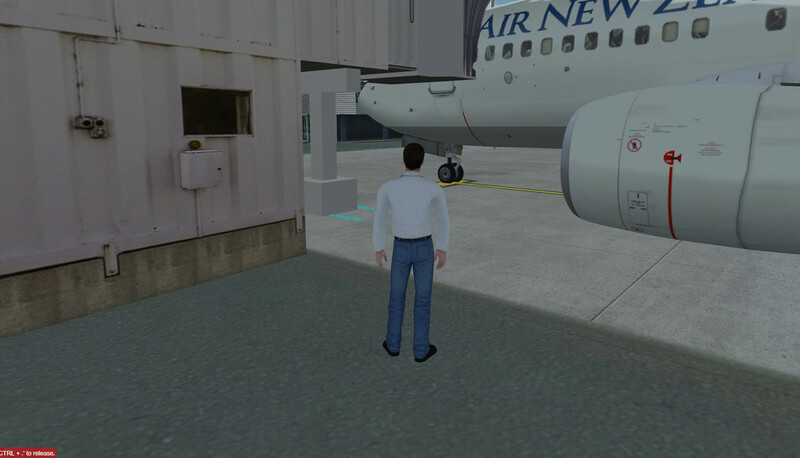 This is an AI 737 in the normal parked position on Gate 3. I have very briefly experimented with moving the gates forward a bit in ADE. Seems to work ok with the iFly737 but the FTX one seems to have a few issues. This may be the door coding in the FTX model but I will have a look at this later. I did notice that Gate 3 seems to come in at a very slight angle to the gate position that is marked. I didn't have time to adjust that yet. Parking spots are tricky in FSX/P3D. I think the stop position is a function of the position of middle of the aircraft model and the wing size, rather than the position of the nose wheel. And addon creators can have different ideas about where the middle of an aircraft might be. Hence the AI 737 not lining up where another 737 does. Last edited by NZ255 on Tue Jun 05, 2018 8:53 pm, edited 1 time in total. Yes agreed. The gates work well with the iFly 737 after I tweaked them but the AI just doesn't seem to want a bar of it. I may have to slew the aircraft around until I get a position where it works. NZDN Gate 1 is tricky because it is fixed. Gate 3 has wheels.